Who said bodybuilding is only a male sport? It is just a stereotype created by our society. Don’t believe us, you got to read this one! 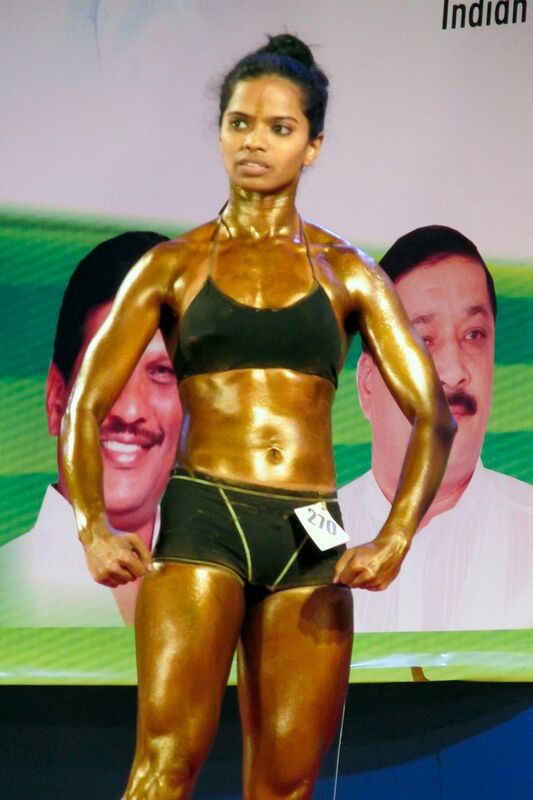 Meet Ashwini Waskar, India’s first competitive female bodybuilder who is literally crushing stereotypes with her impressive fitness and physique. It was an year ago that Ashwini was unhappy about being overweight and so she decided to join a gym in order to shed the extra kilos. It was the first time that she tried lifting weights and with time it became her passion. She began a protein rich diet and with regular exercise and weight-lifting not only lost her extra weight but also developed an enviable physique. With her eyes set on international bodybuilding competitions, she decided to quit her full-time job as a senior fellow at the Central Institute of Fisheries Education. Her family has supported her all through, and even though her father was concerned at first because she had to wear skimpy clothes for the championships, he agreed to support his daughter as he believed that “the clothing was required for the sport”.He even decided to support his daughter’s training and participation costs. Sadly, despite so much hard work and participation in 7 international competitions, Ashwini has not managed to find any sponsors except her father. It is a shame that in a country where we are trying to encourage gender equality, a talented and hard-working female bodybuilder has to depend on her father’s savings to continue her passion. We hope Ashwini’s hard work is noticed and she gets good sponsors. We request everyone to share this post as much as possible so that this reaches her possible future sponsors. If it isn’t paid, it won’t be respected?